Dr. Ryan Richards grew up in a rural upstate New York where academics and athletics were a major part of his adolescence. He was a three sport athlete and was captain of both his high school football and baseball teams. Dr. Richards attended St. John Fisher College in Rochester, New York. He graduated with a B.S., majoring in both physics and mathematics. He then continued on to New York University College of Dentistry for his dental education. Following dental school he completed a rigorous four year residency program in Oral and Maxillofacial Surgery as St. Joseph's Regional Medical Center in Paterson, New Jersey and at the VA Medical Center in East Orange, New Jersey. 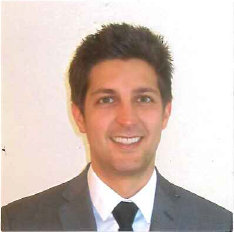 Dr. Richards was appointed Chief Resident in the final year of his residency. Dr. Richards is an avid fan of the New York professional sports teams; the New York Yankees, Knicks, and Giants, and enjoy watching them in his spare time. He also enjoys golfing and snowboarding.